It is a true saying that God has no grandchildren, only children. Each person who establishes a relationship with the Almighty is his child and heir to all that the Kingdom of God provides. Coattails may work in the natural world but they don’t work in the spiritual world and so each child must make their own decision about whom they are going to serve. 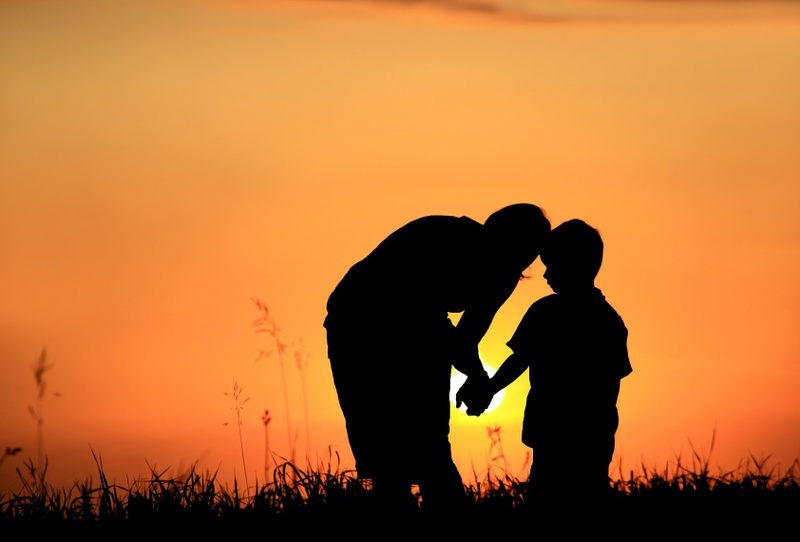 Still, we are admonished to “train up a child in the way he should go.” (Proverbs 22:6) That’s a great principle and comes with a great promise: “when he is old he will not depart from it.” Practically speaking though, how do we do it? How do we pass on our own spiritual DNA and insure a continuation of the heritage of faith in our family? I think one of the major ways is found in Psalm 78 where is says: “teach them.” You might think to yourself, “Duh! Well of course teach them, now what else you got?” Not so fast. I used to think all Christian parents were teaching their children the ways of the Lord but found out many of them were fooling themselves. In truth, they never said much but assumed their children were picking up spiritual truth from the Christian environment they provided. Before I go on though, let me qualify this. Teaching only works when you are already practicing what you preach. Children observe your life and match it to the ideals you proclaim to believe. If those things don’t match up then don’t bother trying to teach them anything because they already have learned what you really believe. But let’s say that part is in place—you walk the walk. Now you are ready to start teaching. When Joshua led the people across the Jordan River at the end of their forty-year trek in the desert the Lord told him to gather twelve stones from the dry riverbed. Each stone represented one of the twelve tribes of Israel. They were to be set up at Gilgal (just east of Jericho) as a permanent memorial for future generations. “He said to the sons of Israel, ‘When your children ask their fathers in time to come, saying, “What are these stones?” then you shall inform your children, saying ‘Israel crossed this Jordan on dry ground.’” (Joshua 4:21-22) In a way, you could think of them as teaching stones. They were a tangible reminder of God’s power, sovereignty and faithfulness. Do you have any teaching stones? I bet you have more than you realize. If you are like most Christians you have a “Before” and “After” life and that provides a whole pile of stones. Do your children know the story of how you accepted Christ and why? Do they know what your life was like “Before Christ”? Do they know how your life changed “After Christ”? Do they know your personal spiritual journey? How has God been faithful to you? All children love stories. When little (or big) miracles occur in your life do you sit down and tell those stories to your children? Do you ask them to believe with you for more miracles, as provision is needed in your life? Do you give their faith a chance to grow just as yours is? Again, I’m sometimes surprised with the small amount of information some parents share with their children. Maybe they think children are too small to understand but in truth, they are never too small. In fact, there is a period of time when your children believe everything you say. Take advantage of it! You can also build new memorial stones every day. Use all the daily routine events of life as teaching moments. When my girls were little and we were out driving we would often hear sirens; sometimes I had to pull over while emergency vehicles passed. I taught them then about praying for whatever the emergency was. After they got the hang of it we would take turns so they also had a chance to pray out loud. As adults they still continue this practice. If you want to really cement your memorial stones in place there is another thing you can do and this is something you can do behind your children’s back. You can PRAY. Specifically and intentionally pray for your children every day. I often prayed over my daughters by their bedside after they were asleep. I would stand there and extend my hand to them and quietly pray many blessings and protections over their life. Pray for all the lessons you are imparting to “take.” Pray that they will have spiritual understanding and wisdom beyond their years. Pray they will easily identify sin as sin and will not be attracted to it. Pray bad companions will not be attracted to them. Pray for their future mates and for long faithful marriages with the blessing of children. Pray they will go farther with the Lord than you ever did. You know, there is no guarantee that your children will not hit some rough patches along their life in the faith and serving God department. Great parents sometimes have children who embrace rebellion—for a time. BUT, the more memorial stones you have piled up in their life, the harder it will be for them to stay in rebellion. In fact, I suggest making the wall of stones so high now that they will never be able to climb over it and away from the Lord when they grow up.